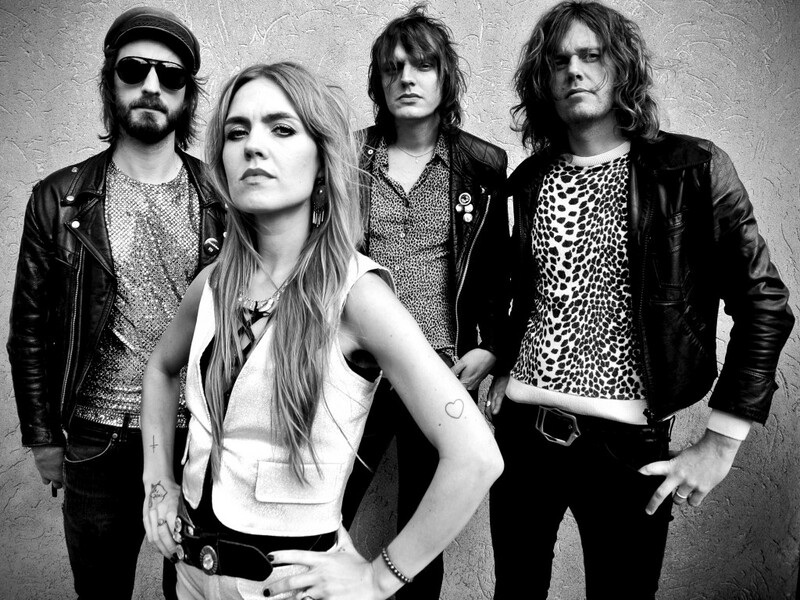 Female fronted Spiders mix garage punk and early hard rock with bluesy melodies. 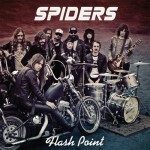 Spiders’ songs reveal the bands incredible songwriting prowess and the music is full of energy and raw rock riffs. 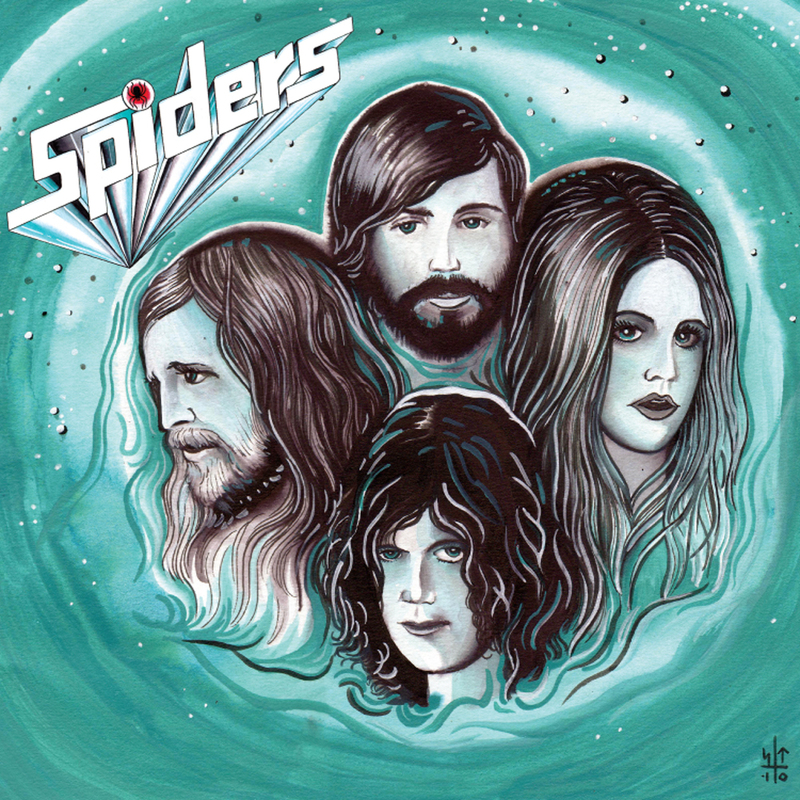 Spiders is a Gothenburg based band featuring Ann-Sofie Hoyles, John Hoyles, Olle Griphammar and Ricard Harryson. Spiders was formed in Gothenburg in February 2010. A few months later the band appeared at one of Sweden’s most successful music festivals, Way Out West. It was around this time Spiders for the first time as a band stepped into the studio with producer Don Ahlsterberg (The Soundtrack of Our Lives, International Noise Conspiracy) and started recording. By the end of January 2011 Spiders released their debut record, a 10” vinyl EP on Crusher Records containing four tracks. The self-titled release was very well received and noticed in Record Collector as well airplayed on Sweden’s largest radio channel P3. In March 2011 those four previously released tracks came to be released in the USA as two separate 7” singles, one on Kemado Records the other on Valley King Records, the latter with an artwork made by the well-known Alan Forbes. Around this time drummer Axel Sjöberg, former drummer, left Spiders to work full time on Graveyard and came to be replaced by Ricard Harryson (Fox Machine, The Maharajas). 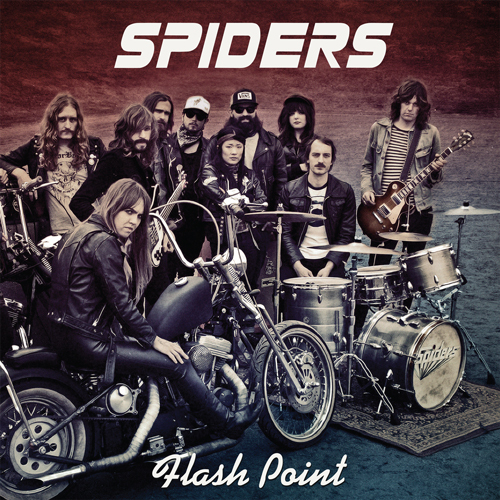 In May Spiders stepped into the studio for the second time recording the sequel – the two track single Fraction – digitally released by Crusher Records on September 23rd, 2011. Additional info: Recorded and mixed by Per Stålberg and Olle Björk at Welfare Sounds Studio. Mastered by Hans Olsson Brookes at Svenska Grammofonstudion. Cover photo by Sara Persson. Cover photo editing by Anders Bergstedt. Live photos by Johan Mossberg & Josefin Larsson. Layout by Peter Carlsson. Additional Info: Recorded and mixed by Per Stålberg and Olle Björk at Welfare Sounds Studio. Mastered by Hans Olsson Brookes at Svenska Grammofonstudion. Cover photo and artwork by Tammy Karlsson. 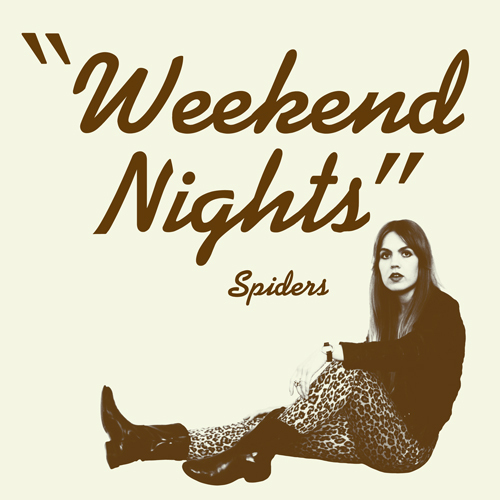 Weekend Nights written by the Spiders. Lies written by Mathias Lilja, The Strollers. Additional Info: Recorded and mixed by Daniel Nordahl and Magnus Johansson at Norra Stranden Recording. Mastered by Henryk Lipp at Music A Matic. Cover photo by Jenny Segerfelt. Layout by Martin Hultqvist. All songs written by Spiders. Except Under My Wheels, written by Michael Bruce, Dennis Dunaway and Bob Ezrin. Additional Info: Recorded and mixed by Don Ahlsterberg. Mastered by Hans Ohlsson-Brookes and Don Ahlsterberg. Cover art by Sebastian Toivonen. Layout by Martin Hultqvist. All songs written by Spiders. Except Nothing Like You, written by Spiders and Martin Heppich. Featuring Ann-Sofie Hoyles, John Hoyles (ex. Witchcraft), Axel Sjöberg (Graveyard) and Matteo Gambacorta.